The technical aspect of the recording is excellent. (...) This release is welcome. Jan Lehtola revels in the rich and pungent registrations of the Doesburg Walcker Organ, built in 1916, and his performances are assured, shapely, and completely convincing. Diese Aufnahme ist beides: Repertoireergänzung und Referenz. 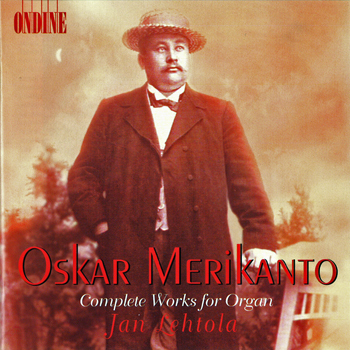 This CD contains the complete works and transcriptions for organ by Oskar Merikanto, who at his time was the leading organ virtuoso in Finland. Finnish organist Jan Lehtola plays the 4-manual, 75-stop Walcker Organ built in 1916 in the Martinikerk of Doesburg, The Netherlands.